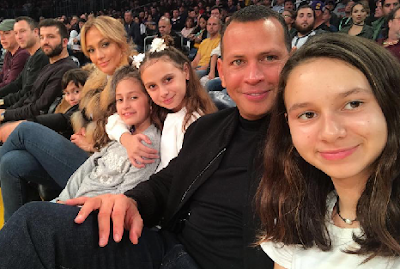 Jennifer Lopez and Alex Rodriguez made Friday night's Lakers game family night. 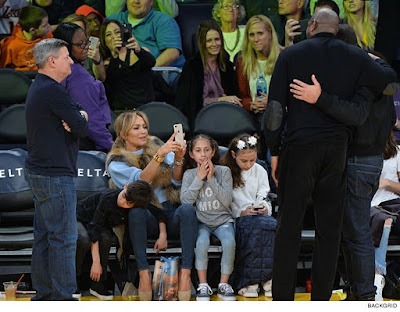 JLo and A-Rod brought their various kids to sit courtside, and their cameras were out in force, especially when one of the most famous Lakers ever, Magic Johnson, surprised them by coming over and jawboning with Alex. JLo was quick on the draw and snapped a pic, as one of the kids conked out on her lap. Jennifer and Alex have been practically joined at the hip for months and people close to them say it's just a matter of time before they get hitched. Isn't that a good news.